In the dead of night on July 24, 2013, John Aldridge was thrown off the back of the Anna Mary while his fishing partner, Anthony Sosinski, slept below. 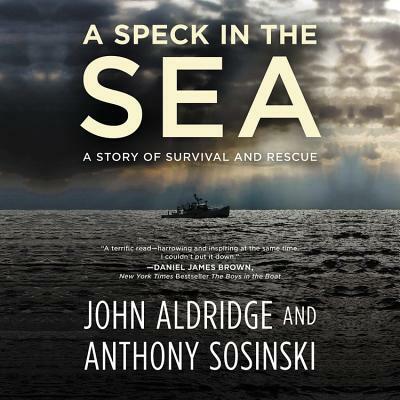 Their memoir, A Speck in the Sea intertwines Aldridge's wrenching first-person account with the narrative of the massive, constantly evolving rescue operation designed to save him.As desperate hours tick by, Sosinski, the families, the local fishing community, and the US Coast Guard in three states mobilize in an unprecedented search effort that culminates in a rare and exhilarating success. A tale of survival, perseverance, and community, A Speck in the Sea tells of one man's struggle to survive as friends and strangers work separately, and together, to bring him home.